Ireland - Early Irish Church - Where in Our World? The Celts were pagans. They believed in many gods and goddesses. Gradually they turned to Christianity. A lot of men became monks and they spent their lives in monasteries around the country. There are many examples of the Early Christian Church to be seen around the country. 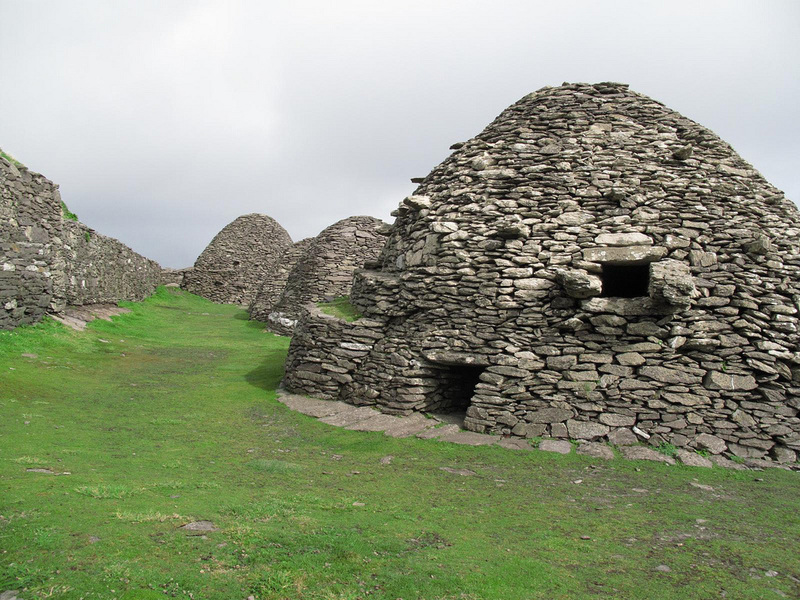 This is Gallarus Oratory in County Kerry. Schools were built beside the monasteries. People travelled from all over Europe to study at these monasteries. 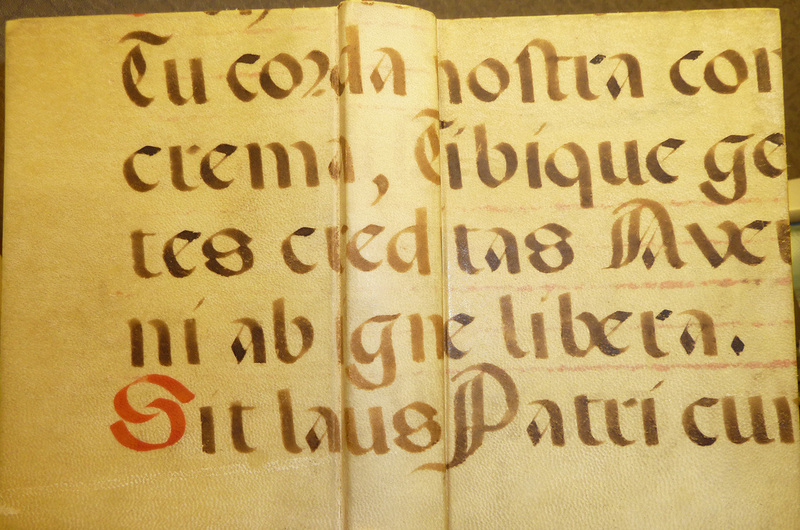 The monasteries were centres of knowledge where people could learn to read and write. They could also learn about modern farming methods, improved building techniques, etc. Travellers could get lodgings in the monasteries while they were travelling. The monks also had hospitals where they could treat the sick. Monasteries had libraries. 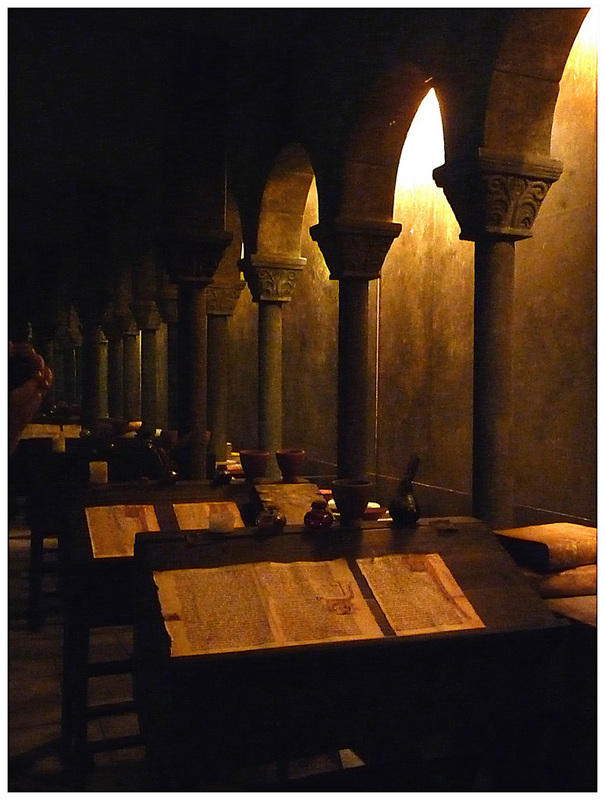 They also had another special room called a scriptorium. Monks copied and decorated beautiful manuscripts such as the Book of Kells in the scriptorium. Books which were copied were written in Latin and Greek but notes were written in Irish (na gluaiseanna) in the margins to explain the texts. They were written on vellum (calf skin). High Crosses like these were decorated with stories from the bible so that people who were illiterate could learn the stories. There are other famous monasteries all over the country. 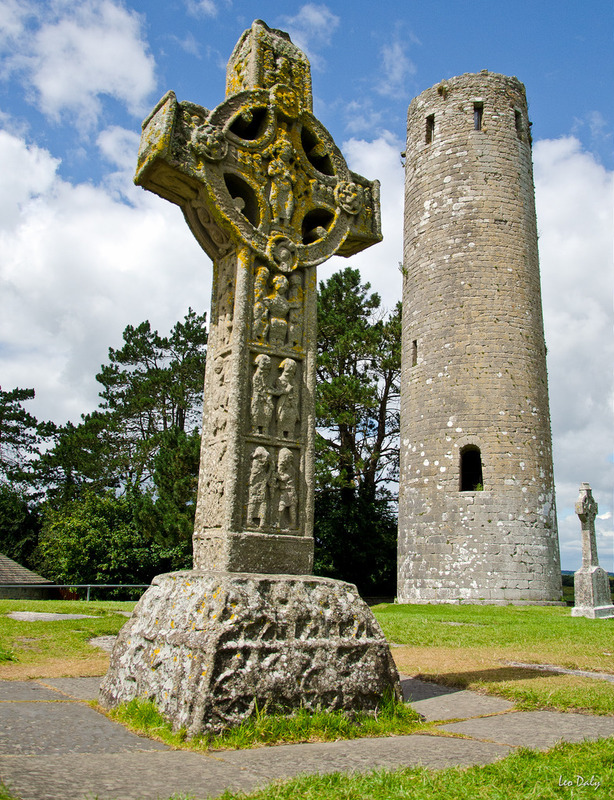 St. Ciarán established a monastery in Clonmacnoise and St. Kevin established one in Glendalough. They are visited by many tourists every year. Clonmacnoise is on the banks of the river Shannon. It was founded by St. Ciarán, in in 544. By the 9th century it was one of the most famous monasteries in Ireland. It was visited by scholars from all over Europe. Many of the high kings of Tara and Connacht were buried here. Glendalough (Gleann Dá Loch) is a glacial valley that was formed during the ice age. It is famous for the Early Medieval monastic settlement which was founded, in the 6th century, by St Kevin. 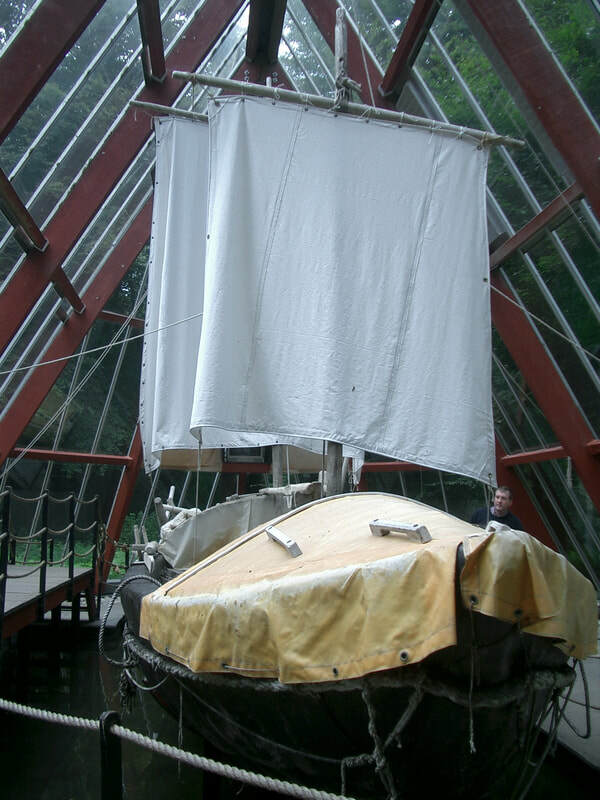 It was plundered numerous times by the Vikings. Other monks lived in isolated places so that they could spend time praying and serving God. 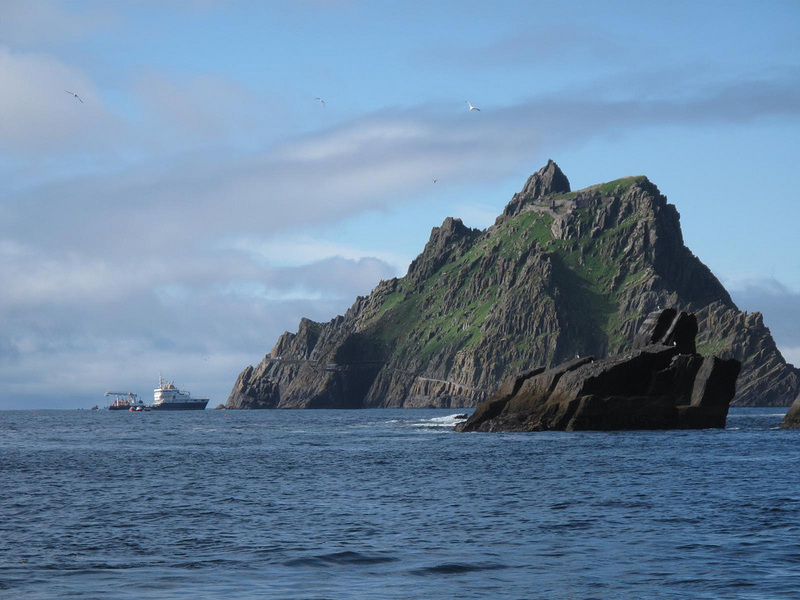 A monastery like this was built on Skellig Michael. The monks lived in tiny stone cells. After the collapse of the Roman Empire Europe was plunged into 300 years of war. This period was called the Dark Ages. 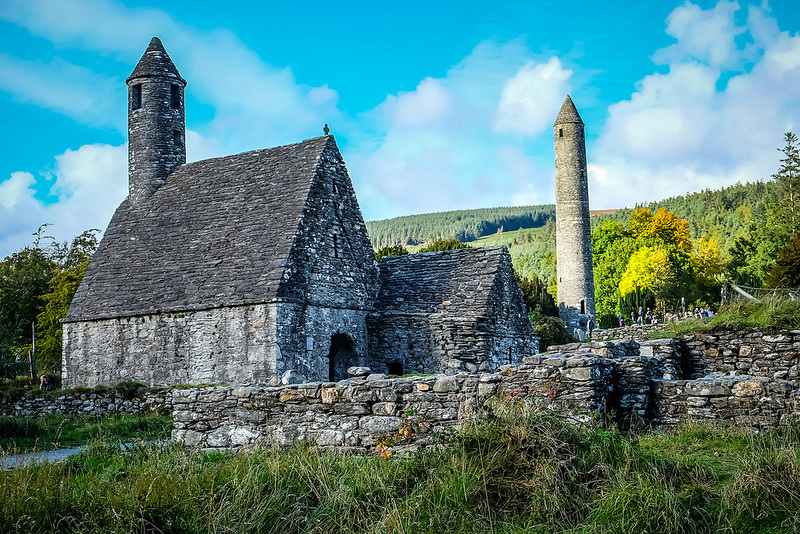 Irish Monks travelled to Europe to establish monasteries and help bring faith back to the people. The most famous of these are Luxeuil in France, Bobbio in Italy and the Abbey of St. Gall in St. Gallen, in Switzerland. Ireland became known as the Island of Saints and Scholars. St. Brendan was born around 484 A.D. In a manuscript written in the 9th century it was said that St. Brendan crossed the Atlantic in a boat and landed in North America. The trip was described in this manuscript. Click on the picture if you want to learn about some of the most famous Irish saints. The Vikings were fierce warriors. They attacked the monasteries so that they could steal the gold and silver ornaments held within them. The monks built towers made of stone in which to store the valuables. These circular towers were tall and narrow. The door was three or four metres from the ground. The reason for this was that if the monastery was being attached the monks could climb the ladder and pull it in after them. They would stay there until it was safe to come down. 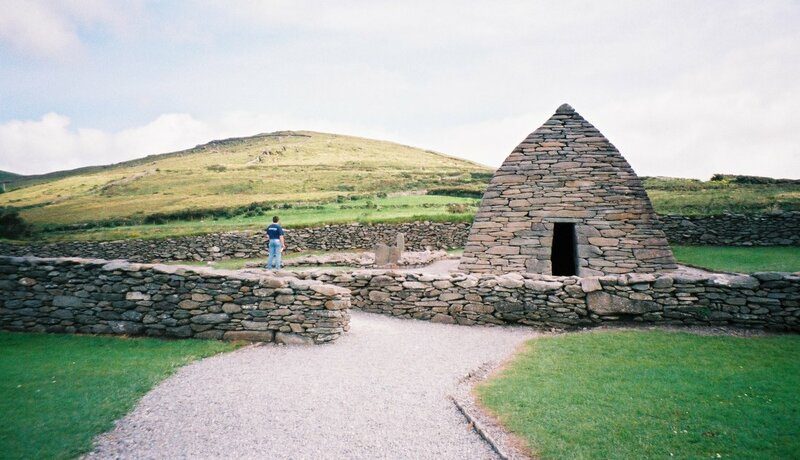 There are lots of holy places in Ireland. One of the most famous is Croagh Patrick. 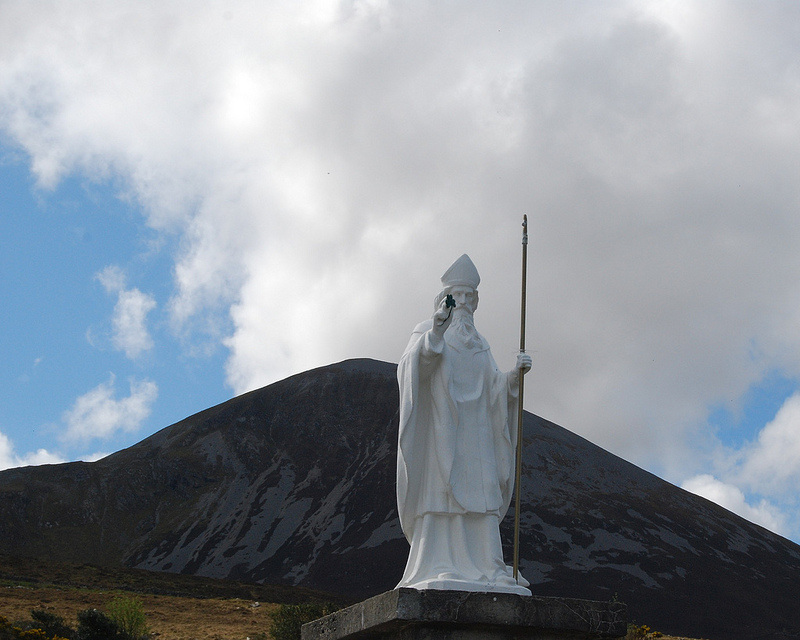 It is said that Saint Patrick spent forty days praying on top of the mountain. Crowds of people go on a pilgrimage to the top of the mountain each year. Some people do the pilgrimage bare foot. Click on the picture if you want to learn more about St. Patrick. Here are photographs of more ruins of monasteries and churches from around the country.